A principle objective of the Primary Care Research Fellowship is to train primary care physicians and PhD scientists interested in careers in medical research related to the organization, delivery, or effectiveness of primary health care and preventive medicine. Fellows are encouraged to take courses in epidemiology, statistics and research methods, with many fellows choosing to complete a master’s degree in population health or public health. Fellows are expected to spend 70-80% of their time doing research and writing papers and grant proposals. We hope that by the end of the fellowship, each fellow has obtained an NIH (National Institutes of Health) or other substantive grant that they can take with them to an academic faculty position. Dr. David Rabago, Director of the fellowship, is a board-certified Family Medicine physician. 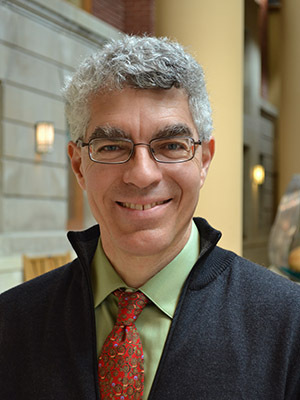 After graduating medical school at UW Madison in 1997, he pursued a one-year post-graduate research year in epidemiological research at the UW Department of Population Health. David then began residency in Family Medicine at the UW Department of Family Medicine, Madison, from which he graduated in 2001. During his residency he continued to pursue both clinical medicine and clinical research, completing a randomized controlled trial of nasal irrigation for sinusitis. An associate professor, Dr. Rabago maintains a full spectrum continuity and teaching practice at Northeast Family Medical Center. His research now focuses on assessing prolotherapy as a therapy for chronic musculoskeletal pain and on nasal saline irrigation for upper respiratory conditions. There are a number of faculty in the medical school and in other schools in the university who serve as mentors for the fellowship. These include Drs. Ellen Wald, Bruce Edmonson, and Elizabeth Cox in Pediatrics, Dr. James Sosman, in the Department of Medicine, Drs. Alexandra Adams and John Frey in Family Medicine, Drs. Greg Landry, David Bernhardt and Kathleen Carr in Sports Medicine, Dr. Betty Chewning in Pharmacy, and Dr Javier Nieto in Population Health. We encourage all fellows to have 2-3 mentors to help them with their fellowship. Most of the prior fellows have had mentors from other universities and some from other countries. Establishing long-term mentoring relationships is considered one of the primary goals of the program. Fill out the Research Fellowship Form.